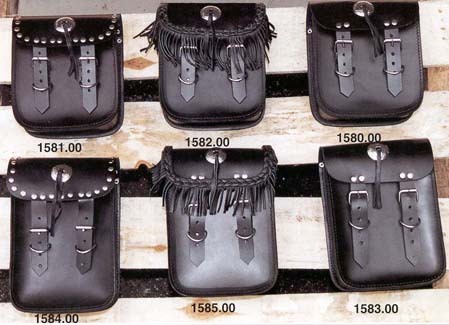 Make your choice of styles from this selection of good quality bags to match your motorcycle bag collection. We recommend use of a water repellant spray on all our bags for protection from rain, water and mud. Bags are universal and fit on most bikes, all years.